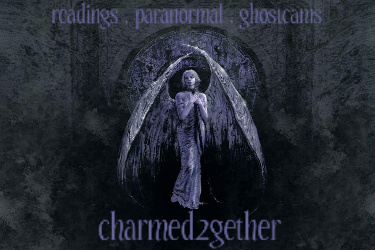 :: Curiosity Corner: Explore the Paranormal :: Your own Story.. COPYRIGHT BY DRAZTIC (so says Mara the admin) !!!! A couple of years ago there lived a Butcher in a city called Boston, his butchery wasn’t running very well. And every day a police officer came to his shop, but not just for some of his fine meat. No he wanted “Taxes” and every day he wanted more, and if the butcher didn’t pay, the officer would arrest him for running a so called illegal shop. After a few months the butcher had nothing anymore and when the officer came for more money he refused to pay, he said he didn’t had any money, and his wife and children were starving. When the officer wanted to arrest him he had only one more option, to kill him. He sliced his throat and skinned him like he daily did with pigs and cows. The officers flesh went through the meat machine, and he baked meatballs from it and sold them in his shop. Of course this action wasn’t unnoticed by the other police officers and they went after the butcher but they didn’t find him only his wife and children, in revenge the officers killed them. When the butcher came home and found out that his wife and children were murdered he didn’t know what to do anymore. So he went to his workroom behind the shop and locked himself up in the giant fridge, where he froze to death. A couple of days later the officers came back to his shop and found his death frozen body, and since that day all those officers died a strange death, we don’t know what happened with all of them but what we know for sure is that they all died in their sleep and some got the throat slit, limbs chopped off or even ripped open and their organs cut out. And every morning the lights in the butchery go on, and the smell of the best meat comes out of the butchery, while there is no one who dares to rent it and reopen it. It’s even said that if a police officer passes by the butchery at night, he dies the same terrible death as the other officers. This is my first story written, all feedback is welcome. holy crap did u really make that all up yourself dude? that was fricken scary as heck and totally gruesome! u had me the whole time...well done! Ty very much, made it up by myself indeed. That was an awom story Draztic..very well done...very well done indeed!!! Oh and i added the copyrigth to it for you! !